As a hedge against a declining dollar. As a commodity, based on gold's supply and demand fundamentals. Gold is different from other precious metals such as platinum, palladium and silver because the demand for these precious metals arises principally from their industrial applications. Gold is produced primarily for accumulation; other commodities are produced primarily for consumption. Gold's value does not arise from its usefulness in industrial or consumable applications. It arises from its use and worldwide acceptance as a store of value. Gold is money. In contrast to other commodities, gold does not perish, tarnish or corrode, nor does gold have quality grades . Gold mined thousands of years ago is no different from gold mined today. Therefore, gold existing in the aboveground gold stock is interchangeable with newly mined gold. The early 1980s presented an once-in-a-lifetime opportunity to buy stocks. Today, economic and political conditions appear to offer a similar opportunity in tangible assets. The macroeconomic and political landscape has not looked like this since the hard asset bull markets of the 1970s. The problems plaguing your stock portfolio are jet fuel for hard assets. Like today, the 1970s were a time of huge budget deficits, loose monetary policy, soaring oil prices and the open-ended costs of war. Today, the combined costs of fighting the war in Iraq and fighting terrorism at home could match the 12 percent of GDP that the Viet Nam War cost. Take a look at the following summary of the six primary reasons for investors to own gold. They may never be more relevant than they are today. Gold is renowned as a hedge against inflation. The most consistent factor determining the price of gold has been inflation - as inflation goes up, the price of gold goes up along with it. Since the end of World War II, the five years in which U.S. inflation was at its highest were 1946, 1974, 1975, 1979, and 1980. During those five years, the average real return on stocks, as measured by the Dow, was -12.33%; the average real return on gold was 130.4%. Today, a number of factors are conspiring to create the perfect inflationary storm: extremely stimulative monetary policy, a major tax cut, a long term decline in the dollar, a spike in oil prices, a mammoth trade deficit, and America's status as the world's biggest debtor nation. Almost across the board, commodity prices are up despite the short-term absence of a weakening dollar which is often viewed as the principal reason for stronger commodity prices. Although the prices of gold and oil don't exactly mirror one another, there is no question that oil prices do affect gold prices. If oil prices rise or fall sharply, investors can expect a corresponding reaction in gold prices, often with a lag. There have been two major upward moves in the price of gold since it was freed to float in 1968. The first occurred between 1972 and 1974 when oil prices climbed 325%, from $2.44 to $10.36. 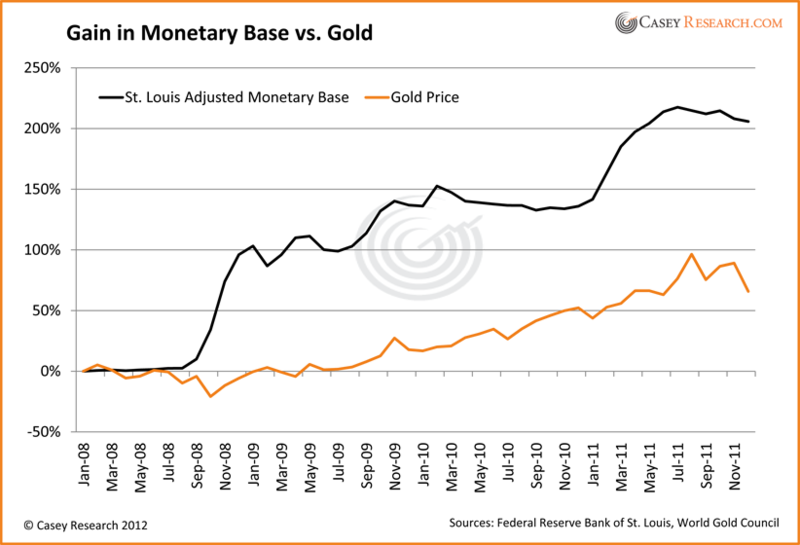 During the same period, gold prices rose 268% (on a quarterly average basis) from $47.45 to $174.76. The second major price move occurred between 1978 and 1980, when oil prices increased 105%, from $12.70 to $26.00. Over the same period, quarterly average gold prices rose 254% from $178.33 to $631.40. Gold is bought and sold in U.S. dollars, so any decline in the value of the dollar causes the price of gold to rise. The U.S. dollar is the world's reserve currency - the primary medium for international transactions, the principal store of value for savings, the currency in which the worth of commodities and equities are calculated, and the currency primarily held as reserves by the world's central banks. However, now that it has been stripped of its gold backing, the dollar is nothing more than a fancy piece of paper. Despite the fact that the United States is the world's only remaining superpower, there are a myriad of problems festering around the world, any one of which could erupt with little warning. Gold has often been called the "crisis commodity" because it tends to outperform other investments during periods of world tensions. The very same factors that cause other investments to suffer cause the price of gold to rise. A bad economy can sink poorly run banks. Bad banks can sink an entire economy. And, perhaps most importantly to the rest of the world, the integration of the global economy has made it possible for banking and economic failures to destabilize the world economy. First, demand is outpacing supply across the board. Gold production is declining; copper production is declining; the production of lead and other metals is declining. It is very difficult to open new mines when the whole process takes about seven years on average, making it hard to address the supply issue quickly. Gold output in South Africa, the world's largest gold producer, fell to its lowest level since 1931 this past year as the rand's gains prompted Harmony Gold Mining Co. and rivals to close mines despite 16 year highs in the gold price. China is teaching the West something new. Its economy, growing at 9 percent per year, is expected to become the second largest in the world by 2020, behind only the United States. Last year Americans spent $162 billion more on Chinese goods than the Chinese spent on U.S. products. That gap has been growing by more than 25 percent per year. China 's consumer class, meanwhile, is spending on everything from bagels to Bentleys - and will soon outnumber the entire U.S. population. China's explosive growth "could be the dominant event of this century," says Stapleton Roy, former U.S. ambassador to China. "Never before has a country risen as fast as China is doing." China recently passed legislation that will allow the country's four major commercial banks to sell gold bars to their customers in the near future. Currently, individuals in China are only allowed to buy gold-backed certificates from the Bank of China and the Industrial and Commercial Bank of China. One major reason investors look to gold as an asset class is because it will always maintain an intrinsic value. Gold will not get lost in an accounting scandal or a market collapse. Economist Stephen Harmston of Bannock Consulting had this to say in a 1998 report for the World Gold Council, " ... although the gold price may fluctuate, over the very long run gold has consistently reverted to its historic purchasing power parity against other commodities and intermediate products. Historically, gold has proved to be an effective preserver of wealth. It has also proved to be a safe haven in times of economic and social instability. In a period of a long bull run in equities, with low inflation and relative stability in foreign exchange markets, it is tempting for investors to expect continual high rates of return on investments. It sometimes takes a period of falling stock prices and market turmoil to focus the mind on the fact that it may be important to invest part of one's portfolio in an asset that will, at least, hold its value." The most effective way to diversify your portfolio and protect the wealth created in the stock and financial markets is to invest in assets that are negatively correlated with those markets. Gold is the ideal diversifier for a stock portfolio, simply because it is among the most negatively correlated assets to stocks. Investment advisors recognize that diversification of investments can improve overall portfolio performance. The key to diversification is finding investments that are not closely correlated to one another. Because most stocks are relatively closely correlated and most bonds are relatively closely correlated with each other and with stocks, many investors combine tangible assets such as gold with their stock and bond portfolios in order to reduce risk. Gold and other tangible assets have historically had a very low correlation to stocks and bonds. 50 Random Facts About . . . The term "gold" is the from the Proto-Indo-European base *ghel / *ghol meaning "yellow," "green," or possibly "bright." Gold melts at 1064.43 degrees Centigrade. It can conduct both heat and electricity and it never rusts. Due to its high value, most gold discovered throughout history is still in circulation. However, it is thought that 80% of the world's gold is still in the ground. The largest gold nugget ever found is the "Welcome Stranger" discovered by John Deason and Richard Oates in Australia on February 5, 1869. The nugget is 10 by 25 inches and yielded 2,248 ounces of pure gold. It was found just two inches below the ground surface. One cubic foot of gold weighs half a ton. The world's largest gold bar weighs 200 kg (440 lb). In 2005, Rick Munarriz queried whether Google or gold was a better investment when both seemed to have equal value on the stock market.h By the end of 2008, Google closed at $307.65 a share, while gold closed the year at $866 an ounce. The Incas thought gold represented the glory of their sun god and referred to the precious metal as "tears of the Sun." Because gold was not yet used for money, the Inca's love of gold was purely aesthetic and religious. Around 1200 B.C., the Egyptians used unshorn sheepskin to mine for gold dust from the sands of the Black Sea. This practice is most likely the inspiration for the "Golden Fleece." In ancient Egypt, gold was considered the skin or flesh of the gods, particularly the Egyptian sun god Ra. Consequently, gold was unavailable to anyone but the pharaohs, and only later to priests and other members of the royal court. The chambers that held the king's sarcophagus was known as the "house of gold." The Turin Papyrus shows the first map of a gold mine in Nubia, a major gold producer in antiquity. Indeed, the Egyptian word for gold was "nub," from gold-rich Nubia. While Egyptian slaves often suffered terribly in gold mines, Egyptian artisans who made gold jewelry for the nobles enjoyed a high, almost priestly status. There are more than 400 references to gold in the Bible, including specific instructions from God to cover furniture in the tabernacle with "pure gold." Gold is also mentioned as one of the gifts of the Magi. The chemical symbol for gold is AU, from the Latin word aurum meaning "shining dawn" and from Aurora, the Roman goddess of the dawn. In 50 B.C., Romans began issuing gold coins called the Aureus and the smaller solidus. When honking geese alerted the Romans that the Gauls were about to attack the temple where the Romans stored their treasure, the grateful Roman citizens built a shrine to Moneta, the goddess of warning. The link between rescued treasure and Moneta led many centuries later to the English words "money" and "mint." Between A.D. 307 and 324, the worth of one pound of gold in Rome rose from 100,000 denarii (a Roman coin) to 300,000 denarii. By the middle of the fourth century, a pound of gold was worth 2,120,000,000 denarii-an early example of runaway inflation, which was partly responsible for the collapse of the Roman Empire. The Trial of the Pyx (a public test of the quality of gold) began in England in 1282 and continues to this day. The term "pyx" refers to a Greek boxwood chest in which coins are placed to be presented to a jury for testing. Coins are currently tested for diameter, chemical composition, and weight. In 1511, King Ferdinand of Spain coined the immortal phrase: "Get gold, humanely if possible-but at all hazards, get gold." Venice introduced the gold ducat in 1284 and it became the most popular gold coin in the world for the next 500 years. Ducat is Latin for "duke." It is the currency used in Shakespeare's Romeo and Juliet and is referenced in The Merchant of Venice. In his song "I Ain't the One," rapper Ice Cube sings that "he's getting juiced for his ducats." The ducat is also used in the "Babylon 5" sci-fi series as the name of the Centauri race's money. 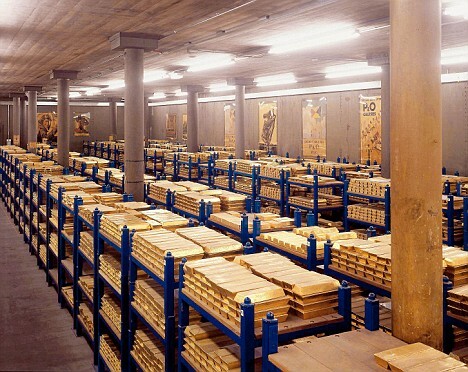 The world's largest stockpile of gold can be found five stories underground inside the Federal Reserve Bank of New York's vault and it holds 25% of the world's gold reserve (540,000 gold bars). While it contains more gold than Fort Knox, most of it belongs to foreign governments. The "troy ounce" of gold comes from the French town of Troyes, which first created a system of weights in the Middle Ages used for precious metals and gems. One troy ounce is 480 grains. A grain is exactly 64.79892 mg. The gold standard has been replaced by most governments by the fiat (Latin for "let it be done") standard. Both Thomas Jefferson and Andrew Jackson strongly opposed fiat currency. Several contemporary economists argue that fiat currency increases the rate of boom-bust cycles and causes inflation. The Mines of South Africa can descend as far as 12,000 feet and reach temperatures of 130 degrees F. To produce an ounce of gold requires 38 man hours, 1400 gallons of water, enough electricity to run a large house for ten days, and chemicals such as cyanide, acids, lead, borax, and lime. In order to extract South Africa's yearly output of 500 tons of gold, nearly 70 million tons of earth are raised and milled. The purity of gold is measured in carat weight. The term "carat" comes from "carob seed," which was standard for weighing small quantities in the Middle East. Carats were the fruit of the leguminous carob tree, every single pod of which weighs 1/5 of a gram (200 mg). Carat weight can be 10, 12, 14, 18, 22, or 24. The higher the number, the greater the purity. 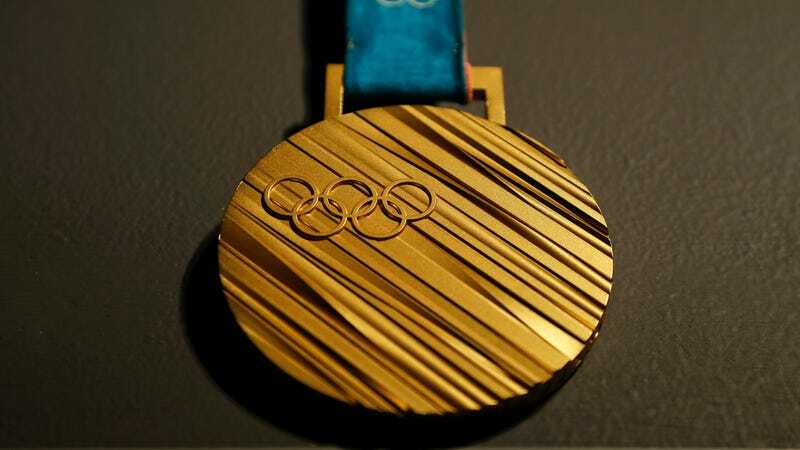 To be called "solid gold," gold must have a minimum weight of 10 carats. "Pure gold" must have a carat weight of 24, (though there is still a small amount of copper in it). Pure gold is so soft that it can be molded by hand. You've heard that statement before - but do you know what it really means? Money is a medium of exchange and a store of value. Almost anything can be used as money, but obviously some things work better than others. It's hard to exchange things people don't want' and other things don't store value well. Over thousands of years, I have emerged as the best form of money (along with silver). And one more thing: I can't be created out of thin air. Not even the kings and emperors who clipped and diluted gold coins used paper as money, so Aristotle didn't include this in his list, but it's vital. Because I am eons old, I've observed something throughout history that you may not have thought much about: government fiat currencies are a relatively new invention, and none has endured. Eventually, they have all failed. Me? I've never been defaulted on or worth zero. Remember this the next time you have any doubts about my long-term worth. The European crisis is far from over; and the path of least resistance for politicians is to create more currency units. This action can and will have clear and direct consequences: currencies will devalue, and inflation - perhaps hyperinflation - will result. Given the state of your monetary system, you should accumulate me on a regular basis. Just buy some every month and put it in a safe place. After what I've witnessed throughout history, and based on the current path your government leaders insist on pursuing, I suggest using me as your savings vehicle instead of putting dollars in a bank. Make sure you own enough of me to make a difference to your portfolio. This means having more than a couple. ...would you feel that you own enough of me? Buy a sufficient amount so that as your currency continues to lose value, your portfolio won't. If you do your part, I promise that I'll do mine. Short answer: Karatbars is affordable by anyone, on any budget. We have the best price in our asset class, regardless of what happened when you divided the spot price of gold by 31.2. Some retail companies may give them a special discount for a purchase. But it's still retail without other financial rewards. When the deal is done, IT'S ALL DONE. And without knowing all the features and benefits included in KARATBARS, they may jump to conclusions. They don't know. For many, it may not be that important to them. But those who want the facts will get them. WHY? Because they have NEVER been exposed to anything like this before. KARATBARS is a Category-Creator. NO one is doing what Karatbars is doing globally. So LOGICALLY, without some explanation, someone may ASSUME that Karatbars is in some kind of "BAKE SALE" and simply include it with other "gold" companies. It's LOGICAL...But INVALID. Karatbars has the lowest price for their gold category. Compare BMW to BMW, not Ford to BMW. Google: kinebar grade 1 gram gold . When you're thinking about the price of KARATBARS gold bullion and you somehow come to the conclusion that the prices are too high, you haven't compared apples to apples. It's like this: A Chevy Cavalier is a car just like a Corvette is a car. Bottom line is they're both cars. But the fact is one costs more, is worth more, and retains its value better. Gold coins, bars, and ingots are all gold, but with varying purity and weights. What you DON'T do is find the best price for a GALLON of milk (which, for the sake of discussion, lets say is $4) and then divide $4 by 8 pints (which is 50 cents per pint), and then compare that price to buying a single pint. We all understand what it means to buy in bulk. As with any product, there is what is commonly called volume discounts. The reason bulk prices are less per ounce is very simple: there is more labor cost to produce several units verses one unit, but the flexibility of use benefits are significant with 1-gram gold over larger weights. To get an accurate price comparison (not taking into consideration the MANY benefits that come with owning a flexible transaction-friendly 1-gram Karatbar), you cannot take the spot price for an ounce of gold and divide it by 31.1. (There are roughly 31.1 grams per troy ounce of gold.) And you cannot take a gram price and multiply it by 31.1. You must price Karatbars gold bullion by the gram against other similar-quality gold that's sold by the gram to make an accurate comparison. Is The Price of KARATBARS Gold Bullion In Line With What's Out There? If you want to be accurate and compare apples to apples, ask your broker what his/her price is for a 999.9-grade 1-gram gold bullion produced by an LBMA-certified refinery? No one can touch Karatbars price! Karatbars has consistently maintained a 2-4% better price. Even if a broker could match or beat Karatbars prices, will they give you free gold for referring others?!? I think not. And all require you to buy many 1-gram bars even if you only want to buy one and although they may advertise they can deliver, they are often out of stock or cannot actually deliver gold in one gram weights. KB's program is NOT for traders. It is for savers and many ask "what does it cost"? This is a poverty mentality because a wealthy mentality asks "what is it worth"! As of mid-February, 2012, when $1 (USD) exchanges for 1.32 Euros, the price of a 1-gram Karatbar was approximately $78. It's not what it costs; it's what the market says it's worth. Cost and worth are two different things, much like an acre of land on the U.S west coast inMalibu is worth more than an acre of land in Iowa. Karatbars is "prime real estate": It costs less than comparable 1-gram gold bullion bars of this quality; it resells for more; and it holds its value out of the vault. KARATBARS are private issue (produced by a private refinery and mint and exclusive to Karatbars) 999.9% 24-carat Gold Bullion... and are not subject to seizure under the current International Bullion Laws and U.S. Law. Gold coins that have minted and issued from any government can be recalled to issuer (the government). All gold from Karatbars is privately issued and CANNOT be confiscated by any so-called authority. 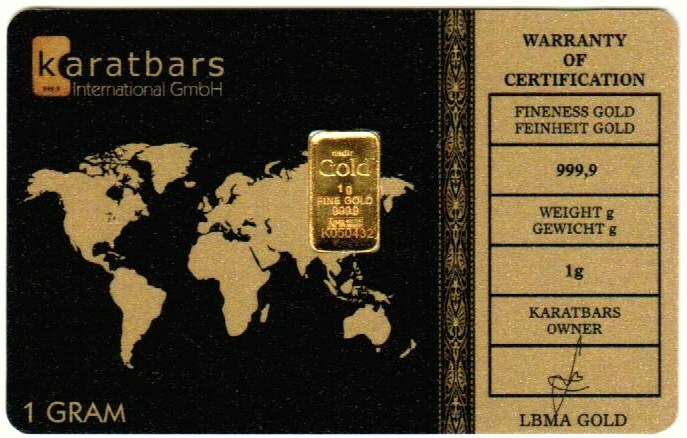 Karatbars minted gold is produced only by LBMA accredited refineries found on the current 'good delivery list'. You, as an Affiliate, are responsible to report any earnings to the local authorities (country, state, etc), (Terms & Conditions). Karatbars DOES NOT REPORT to any Affiliate earning to any government body. Karatbars is an Offshore E-Commerce company with an Affiliate marketing program. Karatbars falls under the International Bullion Laws set forth by the World Trade Organization under the Harmonious Tax Code. ANY and ALL gold purchases and gold coin purchases that are done in USA are RECORDED. The U.S. government knows exactly who has what. Most coins are PURE gold on the ALLOY Standard - 91.9% - because 24-carat is too soft. You do not actually OWN any government-issued coins; you are merely THE BEARER of the coins. Governments in financial duress can "recall" gold coins and only pay bearer FACE VALUE only. Ask yourself this: "Where do you think the U.S. government is going get the gold to restock THEIR shelves?" Karatbars ingots weigh in at 1.01 grams, above the legal limit if a country tries to exercise a VAT Tax on 1-gram bars. We have a niche market of transaction-friendly weights which make it a viable form of payment and exchange, under ALL economic circumstances, in ALL countries. Karatbars accounts are private and SECURE, more so than the FDIC, CDIC, or ANY gold sales in the USA or Canada. 100% of all funds you deposit into your Karatbars account are used to buy gold bullion. There are no extra fees. Karatbars does not report any Customer transactions under $10,000 to any government agency in any country. And Karatbars does NOT ask for a Social Security Number (SSN) or Social Insurance Number (SIN). Your identity is kept confidential for your account as long as you are NOT charges and convicted with money-laundering, involved in drug trafficking, or other international crimes under the U.S. Patriot Act. All transactions are recorded by username and account number. When verified by German authority auditors, you only need to verify your account number, deposit, and whether the deposit was transferred into physical gold and transferred to the vault or shipped to you, the Customer. Germany is possibly the toughest country in the European environment in which to do business. Karatbars International is an offshore (Germany) e-commerce company with an optional Affiliate Marketing program. Karatbars International is NOT governed by the USA. It is on the same level of trade existence that the U.S. government uses when dealing with any other country. We merely have our own personal Karatbars accounts, and we can refer others to get their own private Karatbars account. We do not sell financial paper instruments, nor does Karatbars. Affiliates do not sell gold; Karatbars does, OFFSHORE. Some licensed gold resellers do resell Karatbars. Only Karatbars account holders can make referrals, and we are rewarded for referring others. New Account holders can get a Karatbars account only by being referred by a Karatbars Affiliate account holder. Although we resemble a leveraged type of marketing structure, we are NOT considered MLM in any country. Karatbars is an e-commerce Affiliate business model. Our Compensation Plan pays out only when paper money is exchanged into gold money. That's it. There are NO enrollment fees, etc. Karatbars in 1-gram weights have many more benefits than gold in 1-ounce weights. They are both gold, but it's like comparing an apple to a rock! You CANNOT compare by price. The features and benefits are simply too far apart. USE GOLD TO BUY GOODS AND SERVICES, NOT AS AN INVESTMENT! The stamp of the London Bullion Market Association (LBMA) Atasay Refinery on the gold. The signature of the Atasay Refinery's Assayer on the card. An embossed serial number that is unique to that particular Karatbar. The Refinery's unique hologram covering the entire back of the gold. Withal weights of gold there is a buy-back price that's less than the sell price. With Karatbars there are MANY more options available than simply selling them back. Post them in the Karatbars Member Marketplace at or near the Karatbars daily posted retail price. Sell back to Karatbars at a higher price than you would get from any gold dealer. Only Karatbars allows one to find a way to get at or near the current day's retail value when ready to dispose of some. Anyone, without ANY fees or costs, is able to introduce others to Karatbars and earn a commission. Yes, you can buy 100 grams of gold or an ounce if you choose. But why not, with very little effort, introduce others and have your gold bought with commissions earned? Produced by an LBMA-certified "good delivery" refinery. 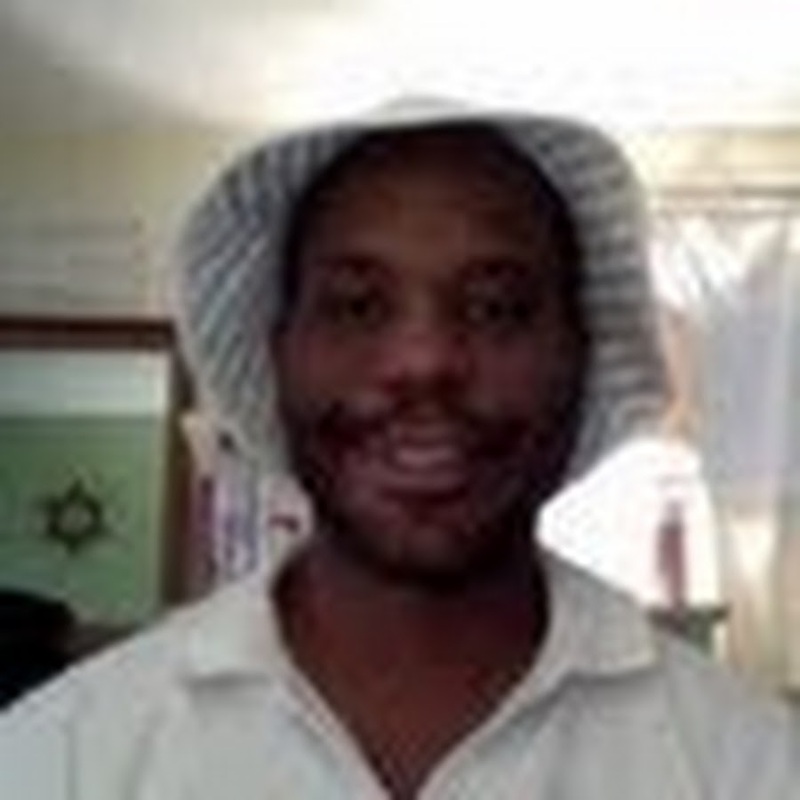 See http://LBMA.org.uk (Click on "Good Delivery� tab / Gold List. Scroll down to Turkey. Click "Atasay..."), Karatbars are good for "settlement of debt" worldwide. Do not take the LBMA-certification lightly: It takes 3 years of zero issues for a refinery to get LBMA-certified. Our Karatbars cannot be counterfeited, and are verifiable by obvious and instant inspection. Low-cost shipping (about $20 for 40 grams) if you want your Karatbars delivered to you. Or you can have them moved to your own vault for an additional fee of approximately 2/10ths of a Euro per gram. Our company subsidizes the portion of the shipping cost that ensures the shipment reaches the Customer's designated destination. One insurance is through SecurLog, as they record on video every single packaging for delivery and the actual card numbers, etc. sealed. And SecurLog has their own private insurance company. SecurLog has their own on-site Insurance. They are recognized by the World Gold Council, one of the largest in the gold industry. Once your Karatbars leave the company's hands, they are double-insured by both Karatbars and SecurLog. They are shipped via FedEx. Large deliveries are done by G4S, the largest global armored delivery company in the world. The extremely high affiliate marketing internal payout (14.5% on the 100 gram Purchase Plans) allows Karatbars International to prepare for infrastructure labor and expansion. On one-time purchases, payout is 5.5%. We have "Green Gold: Karatbars Green Technology Extraction Process uses NO mercury or cyanide. This makes them a serious TACTICAL PLAYER for gold production globally. Gold deposits are stored in large bars until ready to be minted into card denominations of your choice (0.5 gram, 1 gm, 2.5 gm, and 5 gm ingot cards. 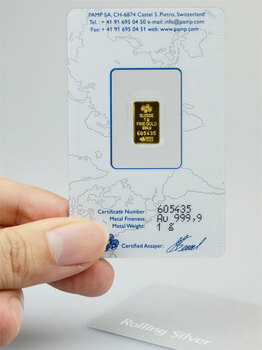 Until Karatbars has expanded to every country we can possibly in, we only offer 1-gram ingot cards. You can sell to other Karatbars Customers or Affiliates. (I sold 19 grams for $1290, that day's sell price, for a Customer who wanted part of his 100 grams sold, and I did it all in 1 day.) Use Karatbars to buy goods and services within the Acceptance Points Network(merchants). Soon, we will be able to exchange fractions of a gram online, not using the cards. Other major financial institutions see us a reliable financial partner; for example, The Vatican bought and branded 100 kilograms of our gold and branded it with our Karatbars. NO ONE can doubt that the Vatican is a major financial giant worldwide. The Vatican doesn't get involved with hokey companies at all, Period. EARNING FREE GOLD is better than buying it at ANY discount. That being said, you can see the 5g card approximates the spot price.